So ok enough abt his surgery.. after two entries abt him i think its abt time Rima the founder of Bisousatoi takes over the center stage hahaha.. i am doing good.. never been better.. a little busy but hey whats new ey.. we are hanging out at home.. going out only for his follow-up check up.. i will be telling a lie if i tell ya that i never take the chance of exploring new cafes here in Singapore which we did after his check up lol.. i think i am addicted to that.. yesterday we went to this cafe at Tanglin Mall called Brunetti.. lovely place.. delish gelato and the opera cake?? woweeee I loveee it!! With him not being able to drive for the next 6 weeks at least.. i hv to be the driver and honestly? i hate it... i hate it if he sits next to me while I'm driving.. i think u know why?? his eyes may not be fully functioning but his mouth is totally fine and thus the "take this lane" "turn left now" "do u see the incoming taxi" blah blah blahhhh .. at first i was all quiet but yesterday i told him "i am behind the wheel and u need to learn how to shoo shoo ok"
Anyway i cant stay long.. we are planning to take our god daughter, Marissa out for a day to celebrate her achievement in her PSLE.. well done dear! uncle and wawa are so so proud of u and hopefully u will get into the school that u want! In another bowl mix ur Hoen Kwee Flour, thick coconut milk, salt and also green colouring. Add coconut milk mixture into ur jelly mixture.. mix and cook over medium heat till mixture thickens and smooth. 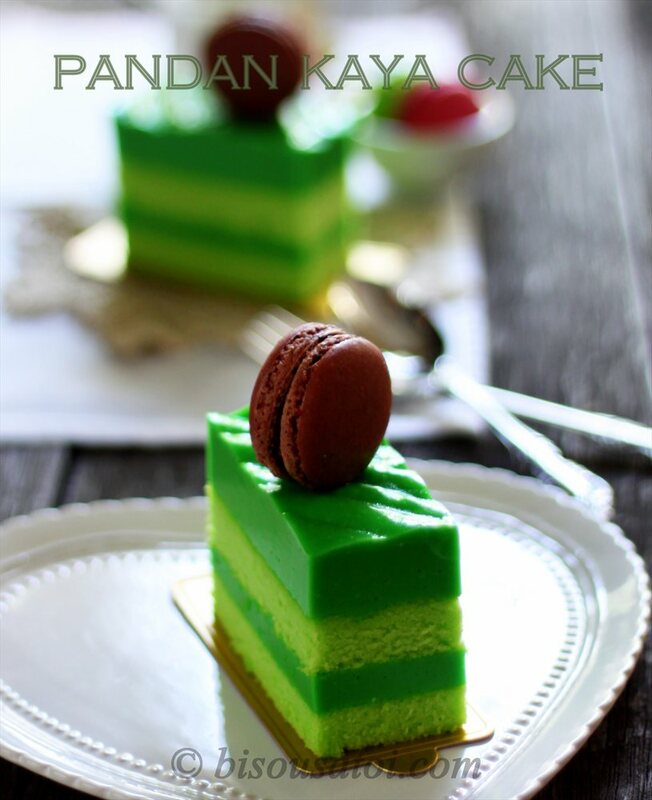 Place a slice of sponge cake into a cake ring, pour in some kaya and continue the same process till the last layer is covered with pandan kaya. Leave aside to cool and set before chilling in the fridge. Remove cake from cake ring.. Slice and serve chilled. Baked this cake simply bec i felt like it.. i used the previous cotton cake recipe.. used the same kaya recipe that i hv been using all this while.. gave mom half of the cake cos this is her fav cake.. i hv yet to try it and what matters most.. my one eyed jack said its delish.. so here wishing every muslim a lovely Awal Muharam.. hv a wonderful weekend ok! Maal Hijrah to u too dear! enjoy ur long weekend! This cake looks really tempting. A must try. So far i've try Fruit Pastry Cake (mmg sedap! ), Condensed Milk Pound Cake, Doughnut and Cinnamon Rolls. 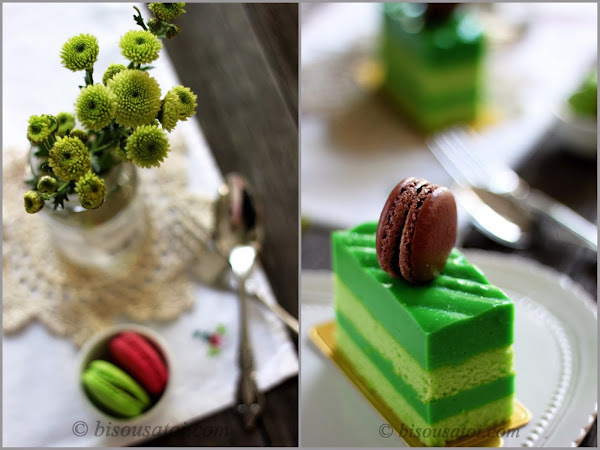 Cuma tak berani lagi nak try ur lapis lengit cakes. Thanks for sharing those wonderful recipes. Have a great weekend! 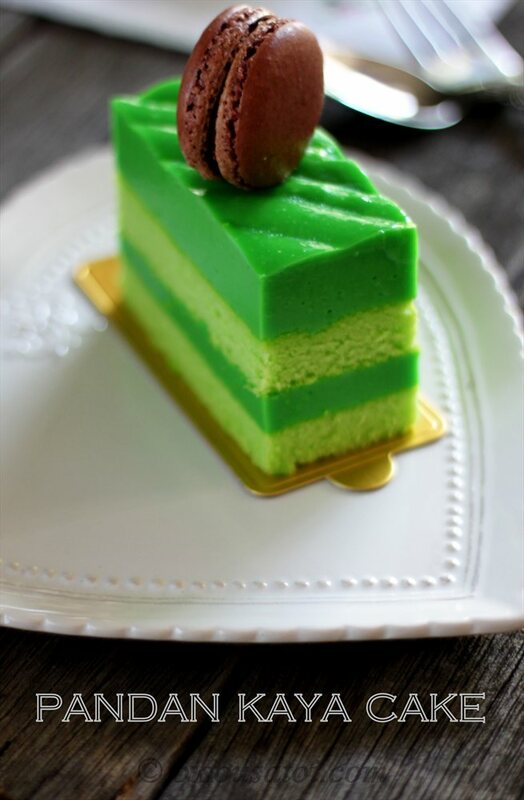 Sgt2lah yum yu yum the pandan layer cake...tak pernah wat lagi ni.....mmmm!! ku dah melihat hijau berhari hari tu sebab harus buat yg hijau jugak hahhaha.. salam maal hijrah to u and ur family too! Anyway i wanna ask regarding the instant jelly powder ape brand you use eh? is it agar2 powder? 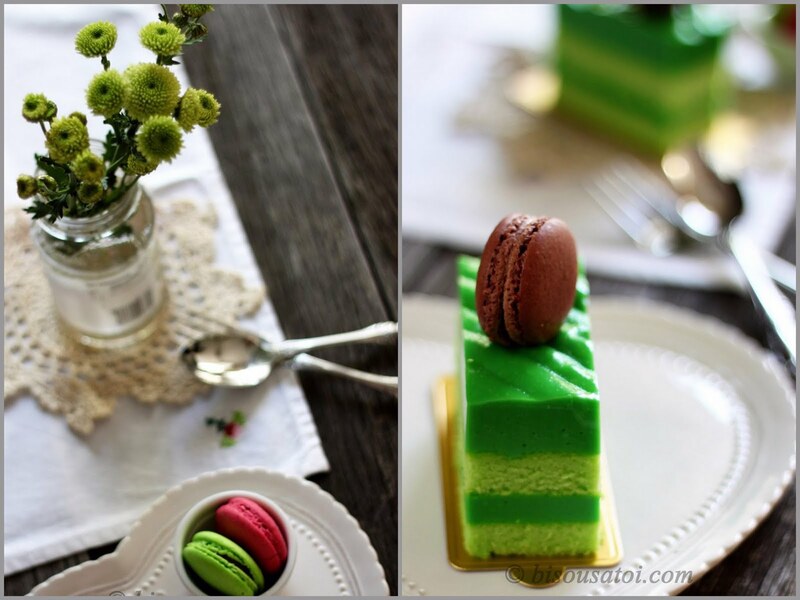 welcome welcome to this humble blog of mine.. the instant jelly powder that i used is not agar agar powder.. u can buy it in any bakery store..
it's so pretty! i'd love to try it. Lemme know how it turn out yah.. happy baking!